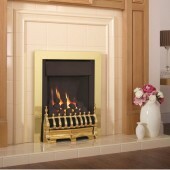 What is a "Gas Convector Fire"? 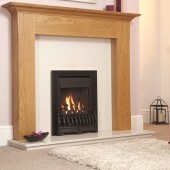 A convector fire draws cold air in and sends it back out the room as hot air., maximise heat out put whilst keep your fuel bills down. 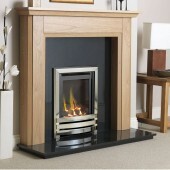 A Convector Box fire is a gas fire with an additional heat engine, which by its design, delivers a flame effect - combined with a higher level heat than that of a hotbox. 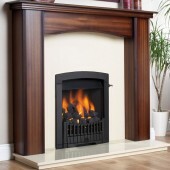 This category of fire typically delivers between 3 Kilo Watts and 4.5 Kilo Watts of heat.To explain this heat measurement figure,1 Kilo Watt of Heat would be the equivalent of a 1 bar electric fire. 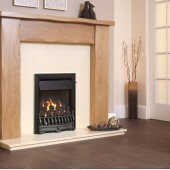 Convector Box gas fires are generally fitted into a rectangular shaped opening and for this reason are not generally suitable for fitting into a "cast iron fireplace". 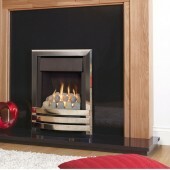 Convector Gas Fires-Medium Efficiency There are 16 products. 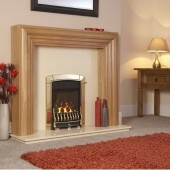 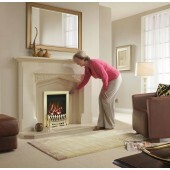 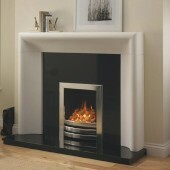 Flavel Richmond Plus HE Gas Fire 66.7% High Efficiency Open Fronted Gas Fire. 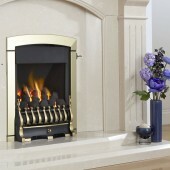 Gas Fire -Excelsior Gas Fire ,High Efficiency Open Fronted Convector Gas Fire TGC13065Exceptional in its genre, a time honored style with full depthfuel bed and burnished radiant to enhance your home. 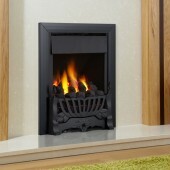 Now with Finger slide control for easy operation.